​The DotProduct DPI-8X is revolutionizing the way ships of all sizes are designed, built, renovated, and repaired. 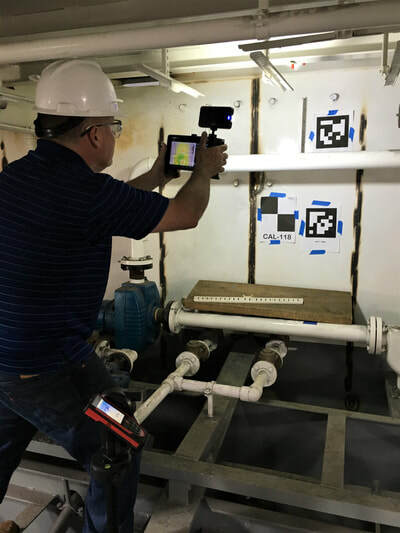 With the speed and portability of the DPI-8X handheld 3D scanner, marine engineers and naval architects now have accurate, color 3D information available at their fingertips throughout design, construction, drydock repairs, and more. Capture complex interior spaces in minutes with our highly portable handheld scanners designed specifically for close-quarters 3D scanning. 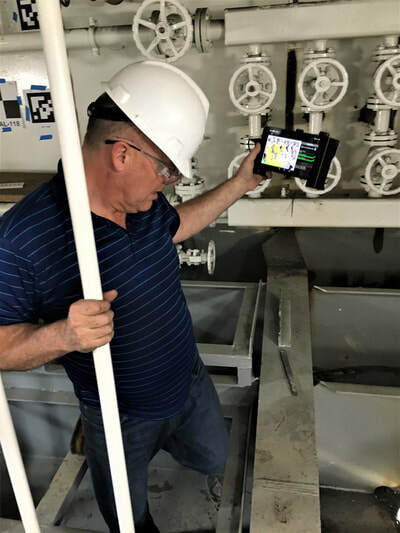 Move freely throughout ship compartments, building full color 3D scenes on the tablet in real-time. 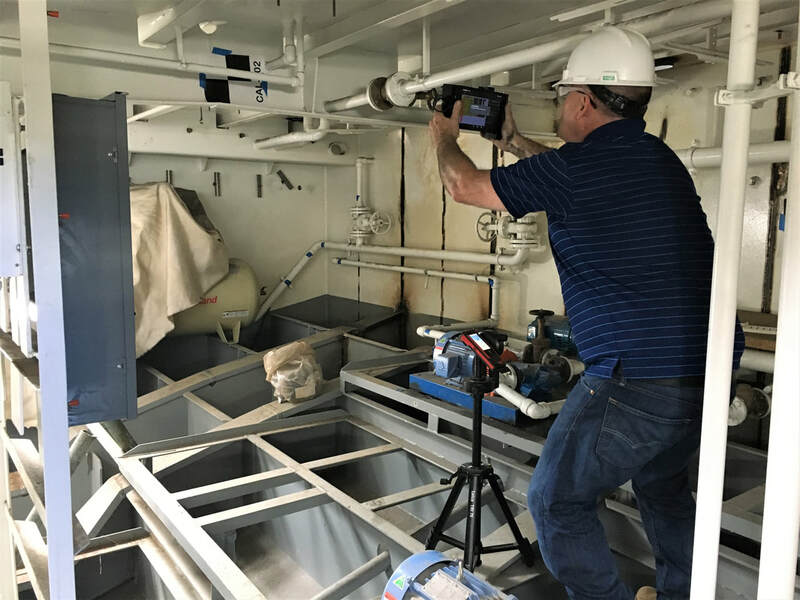 For smaller boat design projects, capture complete hull curvature, deck geometry, and more with the DPI-8X and DPI-8X SR handheld 3D scanners. Below you will find some excellent images of the DPI-8X in action for as-built vs. design comparison of a Mississippi pushboat at Florida Marine Transportation’s shipyard just outside of New Orleans with Ship Architects. 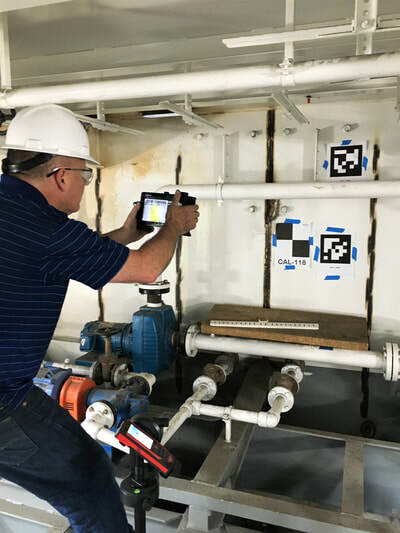 For more on that particular project, please visit the DotProduct Blog article, available here. Easily integrate DPI-8X data into your existing workflows. 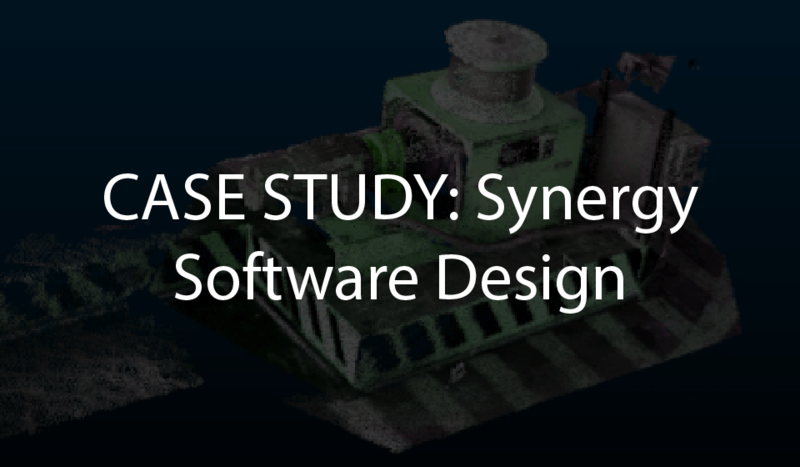 Our solutions are directly compatible with leading 3D shipbuilding applications including Autodesk ReCap, ShipConstructor, AutoCAD, Rhino, Aveva LFM, Bentley Pointools, ClearEdge3D, Leica Cyclone, Revit, FARO SCENE, Trimble RealWorks, Z+F LaserControl, and many more. Please click here for more information on the growing list of DP-compatible 3D data workflows. 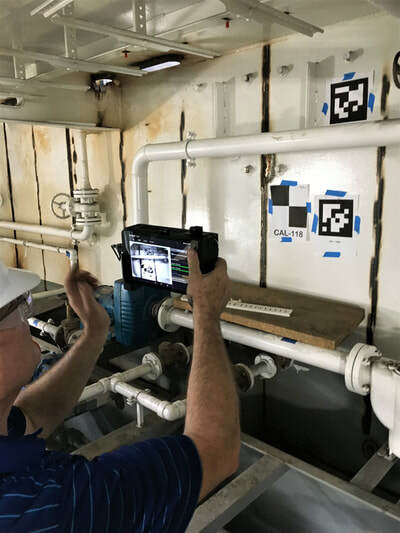 ​Below we've shared some of the Ship Architects/Florida Marine Transportation Mississippi pushboat data captured with the DPI-8X handheld 3D scanner. 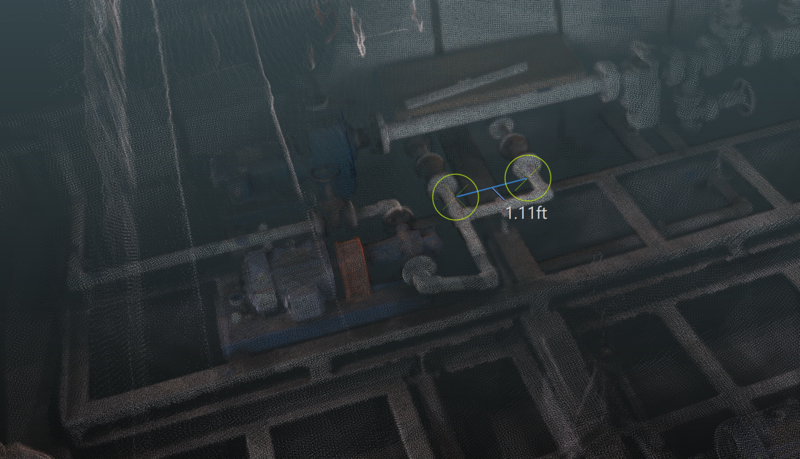 The data was tied into ship coordinates by picking a common point and then using a bulkhead plane and level section of a stringer on both the CAD model and the point cloud. Both data sets are shared below using Bloom Cloud Engine, a powerful point cloud viewer, editor, and web sharing tool that imports .DP scans directly. ​The DPI-8X is not only rapid and highly portable, but also very user-friendly. Designed as a true field tool, users are able to gain confidence with the technology in less than a day. These compact, self-contained scanners can be deployed on ships across the globe, with confidence that staff on each ship will be fully capable of capturing and delivering the data on call. 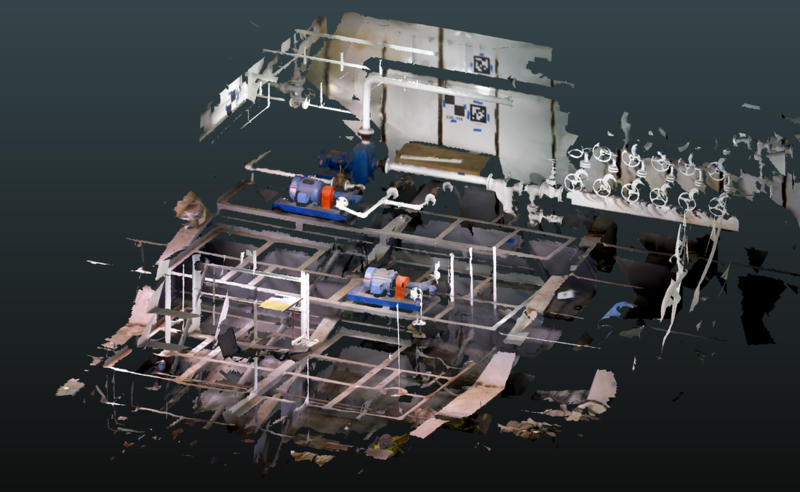 With our highly compressed .DP point cloud format, files can be edited, stored, and shared very rapidly and easily. The average DP scan file is between 10 and 40 MB, often so small it can often be attached directly to an email. 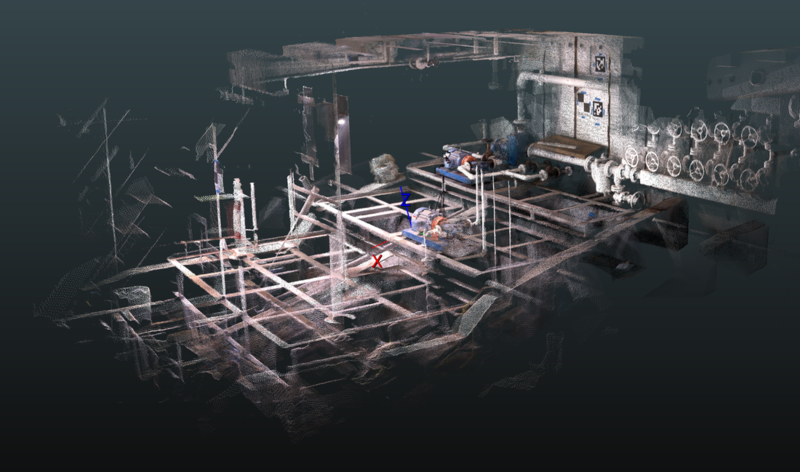 With our point cloud viewer/editor Dot3D Edit, scans can be quickly sent all over the globe for viewing, editing, measurment, and more on Android or Windows. For more on Dot3D Edit, please click here. 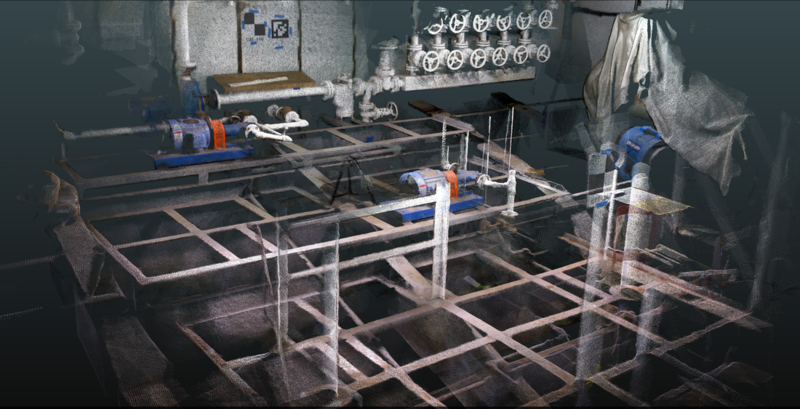 Below you'll also find more images of the data from Ship Architects/Florida Marine Transportation, as well as a full webinar with Sea Machines and Rhino 3D, and links to two marine-related case studies from an offshore oil rig in the North Sea and a U.S. naval base in the Pacific Northwest.